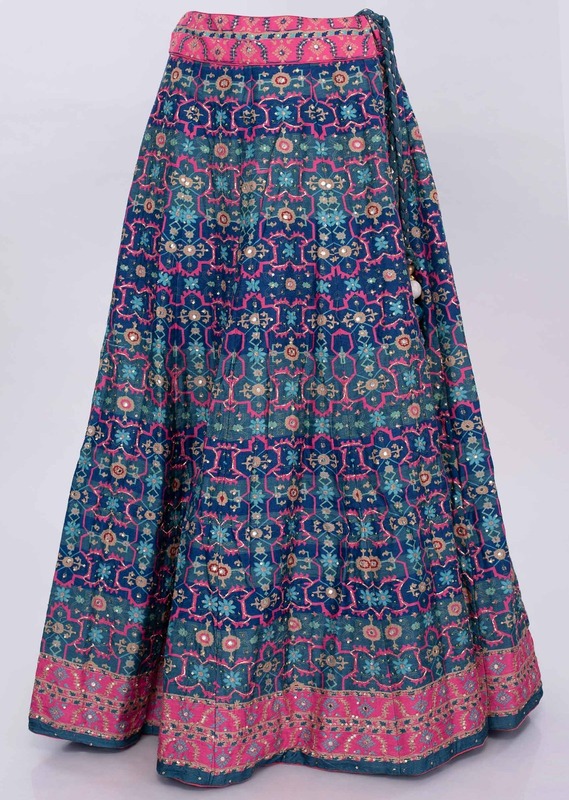 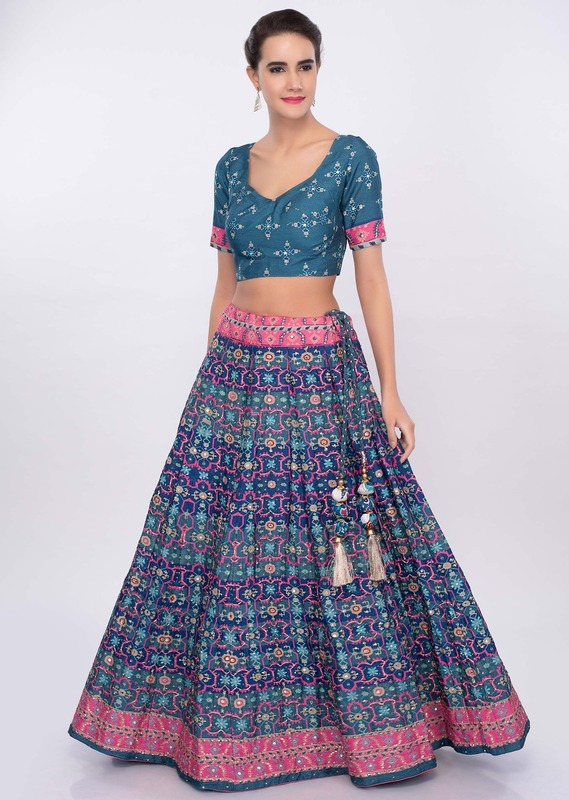 Patola printed cotton lehenga in shades of pink and blue. 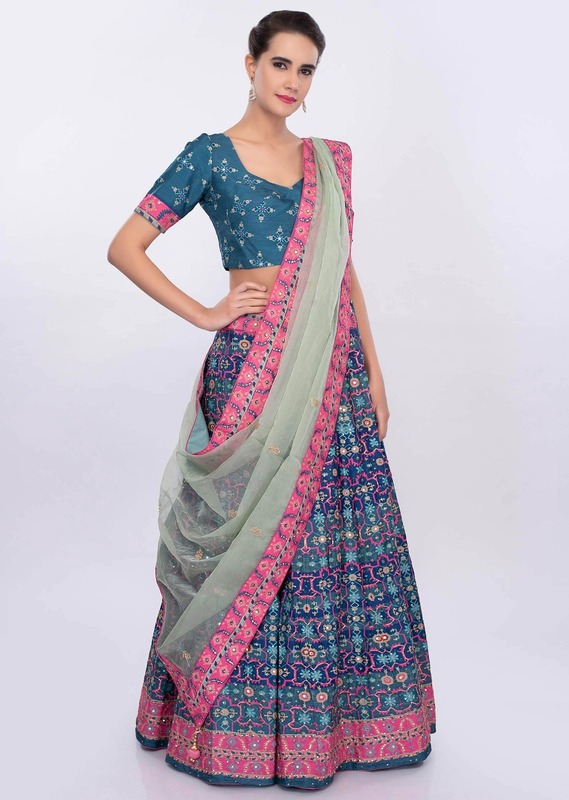 The print is further enhanced with lace, sequins and tikki embroidery. 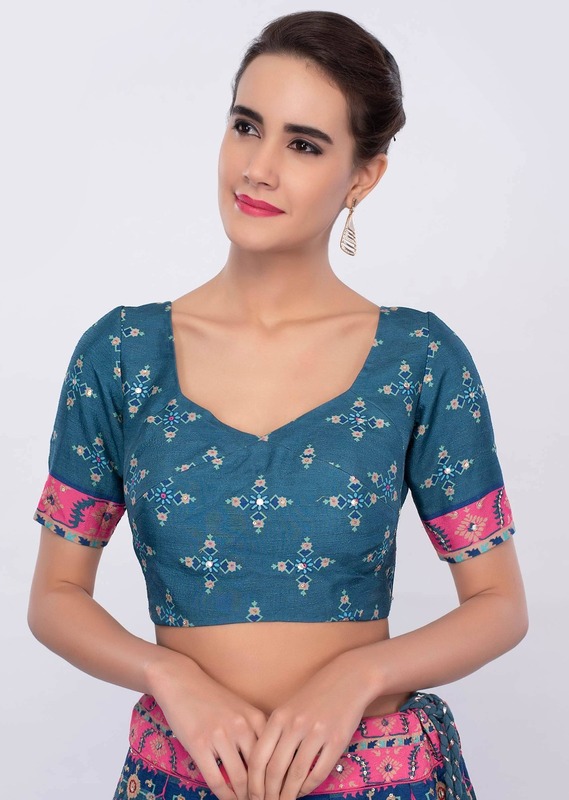 Paired with a steel blue cotton blouse in patola print. 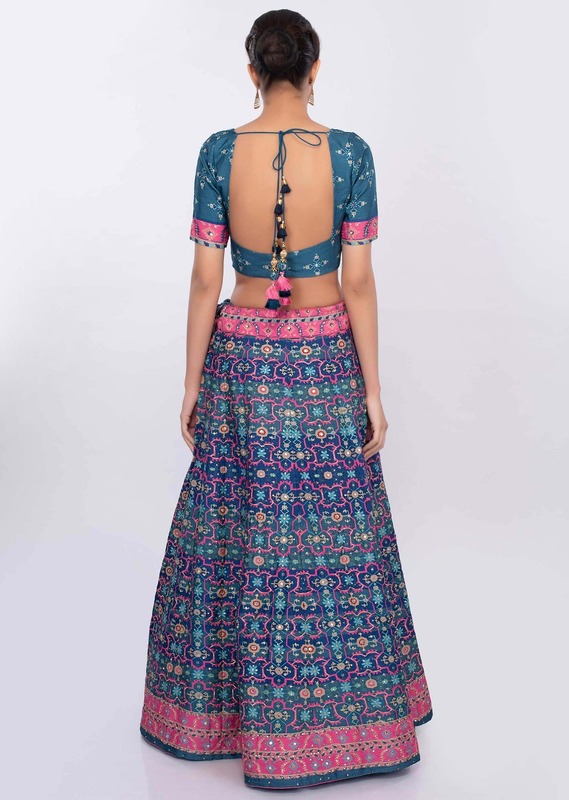 It has a fancy back with tie up. 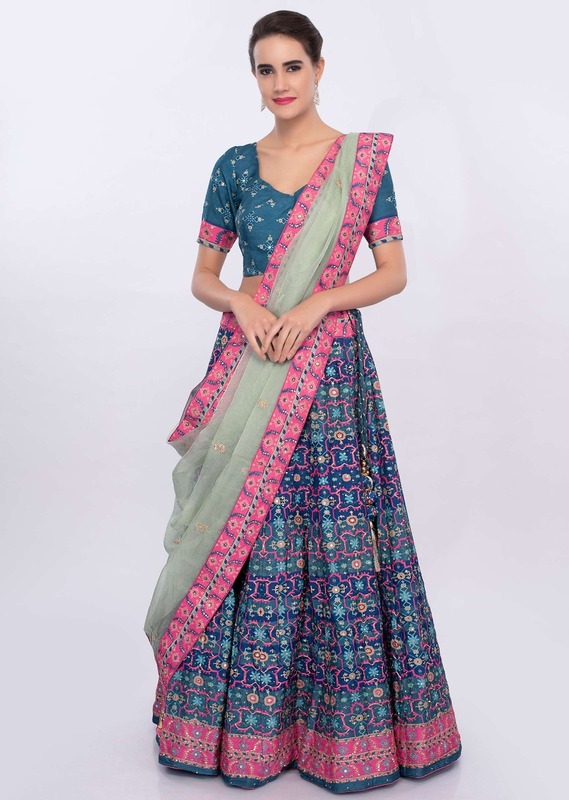 It comes with a contrasting pista green organza dupatta with embroidered butti and border.